Excitement has spread after news that the Warwick district will make up a major part of a world class women’s cycling tour this summer. For the first time, Warwickshire has been announced as the latest challenging setting for the second stage of the Aviva Women’s Tour on June 16. The prestigious event will see 69 racers - including world champion Lizzie Armitstead and reigning tour champion Lisa Brennauer - ride the length of the county from Atherstone to Stratford. The exact route is yet to be announced, but the tour will pass through Warwick and Kenilworth where riders may cycle through the town centre. Announcing the 140-kilometre section, Mick Bennett, race director, said: “Stage Two takes place entirely within Warwickshire, a county we have never visited before. The stage will form part of a five day race in the new UCI Women’s World Tour calendar - one of just four multi-day stage events of its kind. 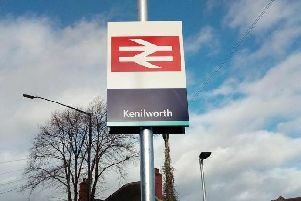 Kenilworth’s Great Britain cyclist Ciara Horne expressed her delight at news the tour will pass through her home town, but told the Courier her Olympic ambitions mean she will be unable to take part. “I would love to compete at but it’s simply too close to Rio and I want to do everything I can to make the team pursuit squad,” said Horne who was in the Team GB line-up which took silver at the Track Cycling World Cup in Hong Kong. Warwickshire County Council leader, Izzi Seccombe, said members were “ truly excited” to welcome cyclists as part of the tour. She said: “We are truly excited to welcome this significant event to our beautiful county. “A sporting event of this scale brings with it a number of key benefits, ranging from public health and education to economic growth and tourism, all of which are key priorities for the county.